Step beyond reality as we know it! 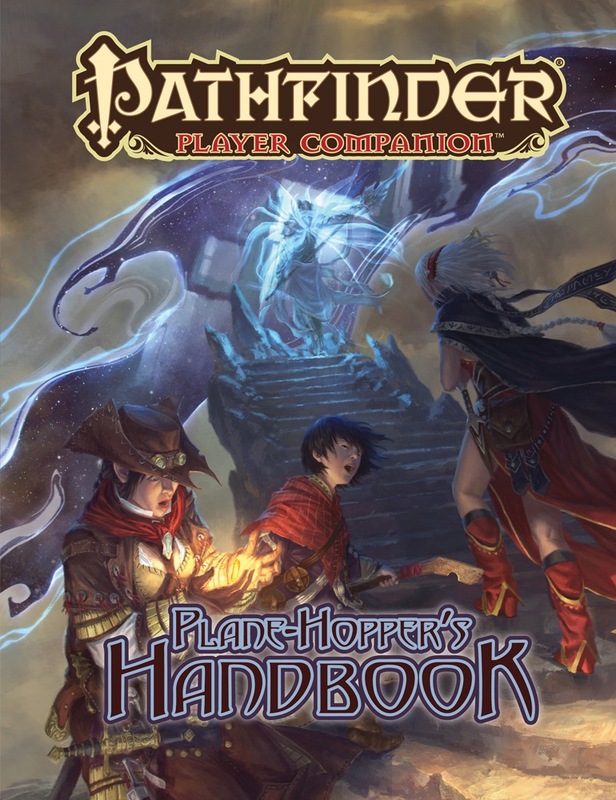 Pathfinder Player Companion: Plane-Hopper's Handbook offers new tools for explorers brave enough to venture into the unknown—whether to abandoned cities created by dead gods, worlds where the ground is made of forsaken souls, or even stranger realms. Add planar allies, magic, or heritage to your adventures and infuse them with the power of the planes! Announced for September! Image and description are provisional and subject to change prior to release. Nice! I was content with the planar content book, and now I’m getting a book of player planar content too! Woo hoo! I'll take all of the planar books that I can get. This must mean there are some heavy multi-dimensional shenanigans going on in an upcoming adventure. Can't wait! Also, I love the cover image (even if it's just a placeholder mock-up). Please tell me those are flumphs! Does this mean you, Mister Todd Stewart have something to do with this? Also I hope more stuff for daemons along with you know, the rest of the planes. Aw... Well at least I'll have something else to enjoy towards the end of 2018. So it's possible Erik Mona's occult research has granted him access to esoteric memory-erasure techniques? Cautiously hopeful - hoping to see more Ganzi PC options (and Shabti would also be great). Todd Stewart needs to work on this! While I deeply appreciate that folks like my work and want to see more of it, I don't have any input in how freelancers are solicited for books (beyond occasionally obnoxiously asking to write on certain topics, which sometimes works but not always). The book may already have authors selected (and Paizo has a veritable stable of super talented folks both in-house and freelancers), or it may even be written already and well into development. Of course if it isn't, sure I'd be open to it, but let's please steer talk here back to the book itself and what might be in it and what you want to see therein potentially, rather than talking about me. I wonder how space/pages the planar races will get? I doubt it would be a page(or more) each because that would be at least 8 pages not including 3 more if they add the new ones from Planar Adventures. Yeah, my bad. I probably shouldn't type past midnight. It's Okay, I have typed worst things on here because it was late/I was tired. A September release, that is awhile from now. I am fully on-board the hype train. I am on the back of hype train, I will move on up when we get much closer to release date. Hope this one includes some Ganzi feats or archetypes. Was someone deliberately trying to reference Bogleech's "Zone Hopper's Handbook", or is it just a coincidence? No, two people independently suggested the name, and as one of those I am unfamiliar with the piece you referenced. I wonder if this book will have a truly planar paladin archetype. Don't get me wrong, Faithful Wanderers are a great archetype, and work well in the Abyss (or the Worldwound, for that matter), but are bit to focused on one plane to function as a more generalist planeswalker. It would just be cool to see anything related to the dimension of time in general. 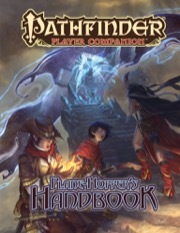 I’m hoping that tieflings will get a sahkil variant in this book! Never liked sahkil but it would be nice to have a tiefling option for completion's sake. While unofficial, Adam Daigle has been kind enough to take a stab at what Fear-baby-blooded tieflings would look like, in case the book doesn't include them. This should have been called, "The Plane-hopper's Guide to the Multiverse." Yeah, I was disappointed in those planar-infused feats from Planar Adventures. And yet I absolutely loved them. Conduit feats are fun and fabulous! Wouldn't mind more at some point....like this book! Wait, the infused had some good stuff too. It can't all be dynamite. So the cover and description have finally been updated, but the date is still vague instead of saying september 19th. AWESOME! a positive energy based summoner archetype, now if I could only get a positive energy based sorcerer bloodline and kineticist archetype. I would be fine with loosing the benefits of elemental overflow and only getting a positive energy blast if I could get channeling, lay on hands, and mercies. Also new alternate racial traits and racial feats are always welcome. People of the Wastes has the Elysiokineticist archetype, my personal favorite. Positive energy kineticist, that one. Wood has a positive blast, though I was certain you knew that already...you did, right? If so, sorry to be Captain Obvious. Ah, this has been updated! Hey, Seoni seems to be wearing her PF2 duds in the cover art!